Even though he was injured, he wouldn't leave their sides. 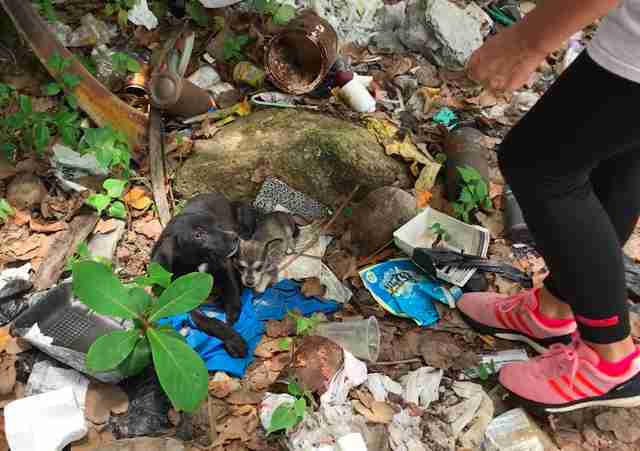 Last April, Chrissy Beckles and a few coworkers were walking by a beach in Puerto Rico when they saw something move in a pile of trash — a puppy. When they moved closer, they realized there wasn’t just one puppy, but three. The three puppies looked to be around the same age, but one puppy, named Maximus, was larger than the others, and he didn’t look related to them. But Maximus needed help — urgently. 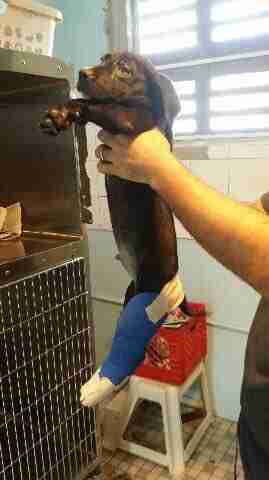 When he moved around, Beckles noticed something seriously wrong with his back legs. 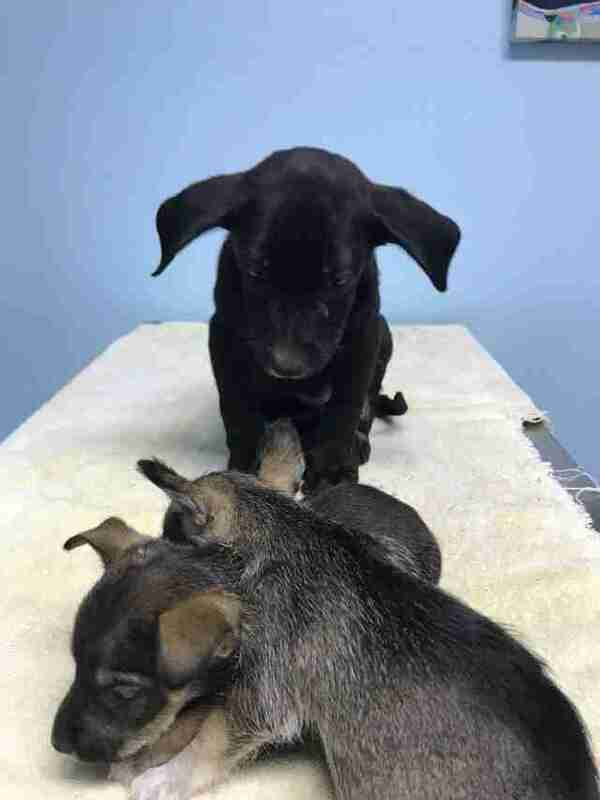 Maximus, however, didn’t seem fazed by the pain — he was more concerned with the other puppies. “He kept going back to his adorable charges,” Beckles said. 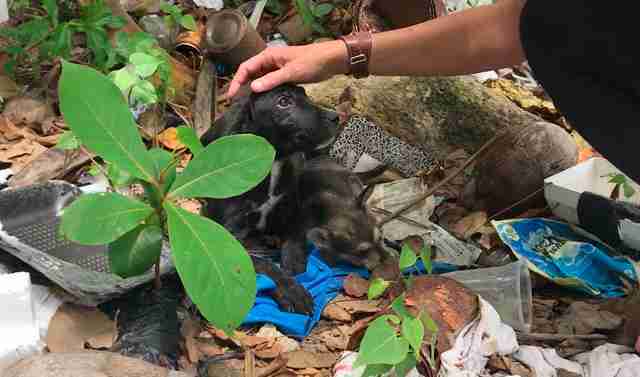 But Beckles and her team scooped up Maximus and the other puppies and rushed them to the vet. At the clinic, an X-ray revealed the extent of Maximus’ injuries. 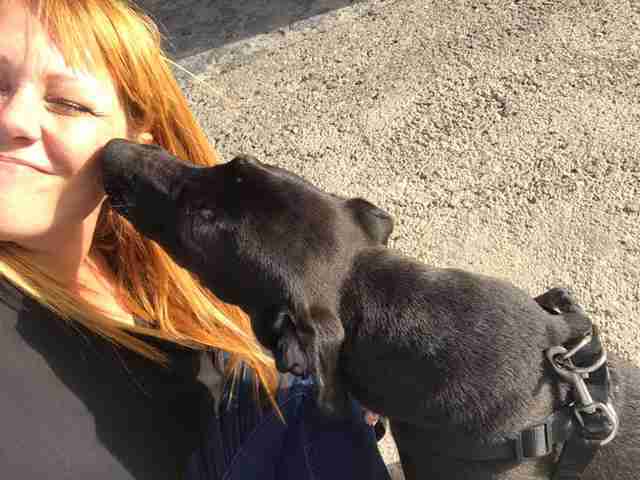 While no one will ever know exactly what happened to Maximus, Beckles believes a car hit him, and the wheels went straight over the puppy’s legs. At his exam, the vet wasn’t optimistic about saving his legs. “At that point, the vet said to me, ‘This does not look good. 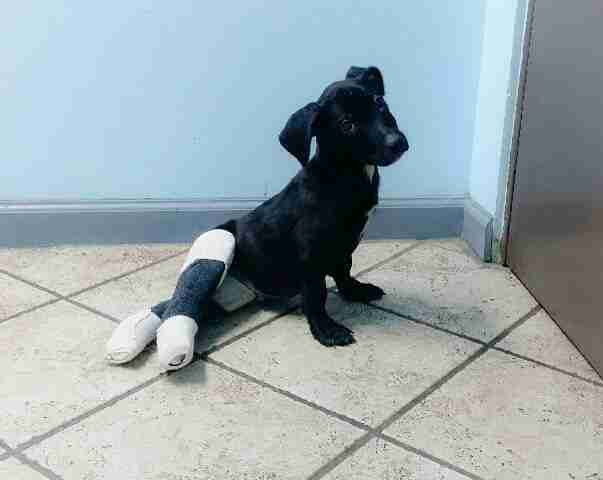 This is a doggy with two badly broken back legs. We can put a cast on him, but I think there’s too much damage. He’s potentially going to lose one,’” Beckles said. Beckles, her coworkers and the vet team put their heads together to figure out the best solution. They eventually decided to put soft casts on Maximus to help his bones heal — but no one was sure if and how he’d manage to get better. About five weeks later, Maximus’ casts came off — and Maximus eventually learned to walk again. 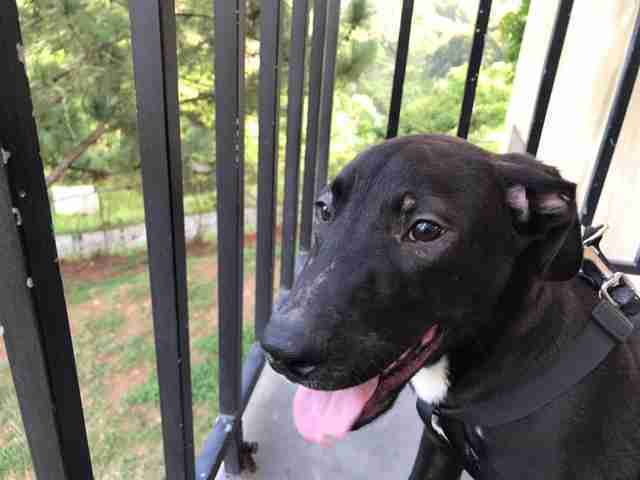 Since leaving the vet clinic, Maximus has been living in foster care — and next weekend, he’ll be flying to the United States to meet his forever family. 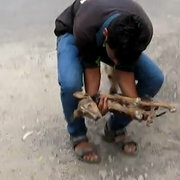 To help the Sato Project rescue and rehabilitate street dogs, including puppies like Maximus, you can make a donation.